If you’re the ‘adventurous traveler’ type, you probably want to get to know the ‘Real’ side of places you visit. 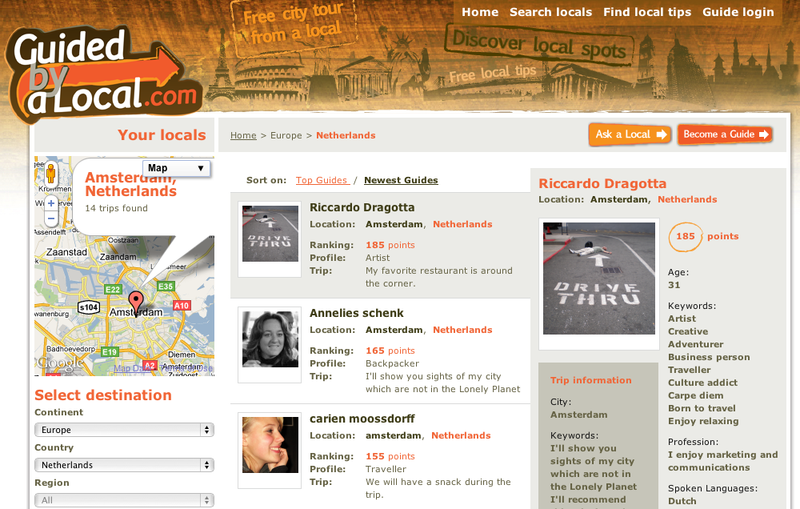 A Netherlands-based team has created GuidedByALocal as the ideal place to find someone to show you just that. Currently featuring 314 local guides in 202 cities in 68 countries, the site is designed to connect globetrotters with volunteer guides around the world. The number of guides available varies from city-to-city but checking out somewhere like Amsterdam returns a healthy number of people willing to show you the sights. Guides can also answer questions from travelers online via the site.